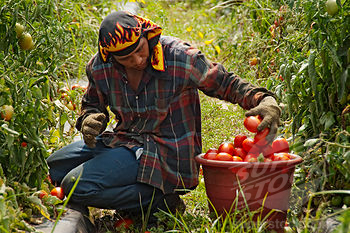 South Georgia depends on immigrant workers to harvest crops. UPDATE: On December 3, 2014, Georgia and 16 other states filed a lawsuit challenging President Barack Obama’s recent executive order on immigration as an unconstitutional assumption of congressional authority. Apparently Gov. Deal has a short term memory –doesn’t he remember the devastating results of HB 87? In February of 2011, Georgia joined the ranks of states that have adopted strict immigration laws; laws that have set off protests throughout the state, including Atlanta, where thousands stormed the streets surrounding the Capital last week. But, just as in Arizona, Utah and Indiana, parts of the new Georgia law have been blocked (the state has filed an appeal). Hostile new immigration laws not only damage Georgia’s reputation & revenue but are costly to implement and expensive to defend against a tide of law suits. On 6/27/11, U.S. District Judge Thomas Thrash approved a petition from civil liberties groups for a preliminary injunction that prohibits key parts of HB 87 from going into effect. He accused the state of wildly exaggerating the interpretation of “harboring” under federal law with the inclusion of giving rides to friends & neighbors who are undocumented. He criticized the state’s contention that federal immigration enforcement is passive and pointed out that on an average day, federal immigration officers deport over 900 illegal foreign citizens. Judge Thrash charged the state of “gross hypocrisy” in its claim that stricter laws would help prevent the mistreatment of illegal immigrants. “The apparent legislative intent is to create such a climate of hostility, fear, mistrust and insecurity that all illegal aliens will leave Georgia,” he said. And it appears that is just what it has done. “Many Georgia farmers say they face a shortage of workers to harvest their crops, a shortage they say this law has already made worse because even legal Hispanics will not come to the state because they fear harassment” reports Charles Oliver of the Dalton Daily News. Everyone agrees the national immigration system is broken – how to fix it is the problem. A recent poll asked registered voters across the state if they would support the Arizona styled immigration law in Georgia and a large majority, 68%, said yes, while 24% said no, leaving 8% undecided. Illegal immigration is a big deal here in Georgia, home to more than 480,000 unauthorized immigrants as of January 2010. Georgia ranks sixth, behind California, Texas, Florida, New York and Illinois, respectively. And surprise, Arizona is seventh with 460,000. Supporters of the immigration bill claim illegal immigrants are taking jobs from Georgians in a recession with an unemployment rate as high as 10.5%. The additional burden on the state’s public school systems and emergency rooms are another concern. But Bryan Tolar, president of Georgia Agribusiness Council, who is opposed to the bill, says undocumented workers help Georgia businesses bring in billions of dollars, and the new law is already hurting them. “What we’ve seen is about a 30% loss in that labor force, so we’re looking at a $200 to $250 million loss potentially,” Tolar said. In an effort to fill the 11,000 agriculture jobs, Gov. Deal tried using unemployed parolees to replace the immigrant workers. Most quit by mid-afternoon and those who remained were far behind the Latino’s, filling only one truck to their six. “It’s not going to work”, crew leader Benito Mendez said. “Those guys weren’t out there 30 minutes before they threw the bucket in the air and took off across the field walking. We need these immigrants to do this work that we can’t and won’t”, says Toler. The politicians that passed this law were either too stupid or full of hate to consider the consequences” “Picking produce is a skill. You can’t just throw welfare recipients, parolees, or prisoners in a field and expect them to work effectively. Although 68% support the new laws – do they really understand the implications? 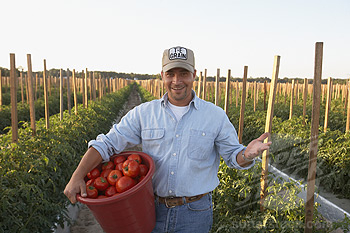 Immigrant Worker picks tomatoes in GeorgiaAlthough 68% support the new laws – do they really understand the implications? Firms with 500+ employees must use Federal E-Verify, a flawed federal employment verification system. Beginning 7/1/2012, firms with 100+ employees must implement E-Verify and those with at least 11 employees have until 7/1/2013 to comply. Did Deal make a bad deal for Georgia? Despite pleas from Georgia’s business community who fear the law will hurt the state’s critical farming and restaurant industries, Gov. Deal pushed forward on the HB 87, and by doing so, he may be hurting Georgia. Is he ignoring the economic reality of Georgia’s $1.3 billion budget shortfall? The costs associated with the bill were not considered by state legislators who failed to attach a dollar figure to it. Gov. Deal should heed the hard lessons learned in Arizona, where after passing a similar law, billions of dollars in revenue has been lost and 2,800 jobs could be lost over the next few years. Arizona has already spent over one million on legal fees defending a law not yet implemented and deemed unconstitutional by the courts. We can also expect considerable damage to the State’s reputation. By allowing this bill to become law, Gov. Deal is mocking state’s motto of “Wisdom, Justice, and Moderation”, leaving a dark stain on Georgia’s history as well as his own governing legacy.